What’s the Problem of Honor? I welcome the opportunity to contribute to Honor Ethics. 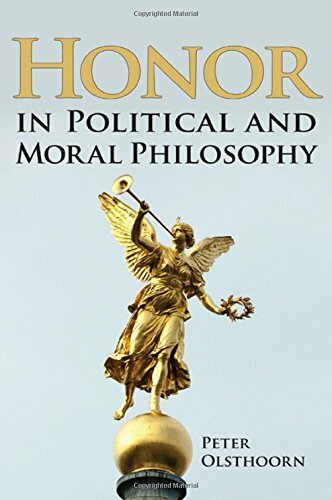 By way of brief introduction, I have published only one article on honor, in the local Sewanee alumni magazine, but I have taught a course, “Ethics of Honor” for years. That class has become for me a philosophical “laboratory” for thinking about this under-discussed notion. 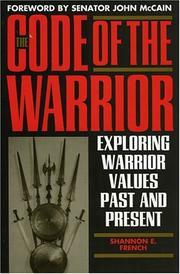 I welcome the chance to explore the ethics of honor with those who have had more to write about this than I have. One section of my class on honor has students read editorials and articles on the 1906 founding of Sewanee’s Honor System. From then until now, Sewanee has had a student-run honor code. It has changed over time. What one at first an informal code, based on agreement of the small student body of around 200 students about what it means to be a gentleman, has become increasingly formal, with no more reference to the grounding ideal of being a gentleman, but with an increasing focus on the intricacies of due process governing honor trials. Since 1906 faculty have the sole responsibility of reporting possible infractions to the Honor Council. Even today, only the student Honor Council can determine that an honor violation has taken place. When I examine in the school newspaper, The Sewanee Purple, early articles and editorials on the newly formed Honor System, I see a world that no longer exists at Sewanee, despite our perpetuation of the Honor system. I find this language interesting, but foreign. At Sewanee today, Sewanee students do not write such editorials on the Honor System. (I will write on an exception later.) The system is such a non-controversially integral part of the institution that students feel no need to editorialize about it. But if they did–and this is my main point–it would be strange to find students using the vocabulary of the sacredness of trust, the fact that there can be nothing of greater pride than trust, violations of which produce indignation and horror in the student body, and prostitution of our our school’s fair name. I venture that no such language is part of the life of this place. We live in an age of cynicism about such ways of speaking and thinking. In this regard consider, chronicler of Southern life, William Alexander Percy’s analysis of life in the South before World War Two: “The Old Southern way of life in which I had been reared existed no more and its values were ignored or derided…. [P]olitics used to be the study of men proud and jealous of America’s honor, now it was a game played by self-seekers . . .; where there had been an accepted pattern of living, there was no pattern whatsoever” (1941, Lanterns on the Levee, 312). No doubt many people—myself included— are happy that unsavory aspects of the Southern way of life have been lost. But Percy’s main point is that we now lack any common pattern whatsoever. But if we lack any common pattern, we lack a common pattern of living out of an ideal of honor. We may have made social progress in a way that makes it difficult to take living honorably seriously. To be clear, I am not taking from Percy’s remark the conclusion that there is no role at all for an ideal of honor today. 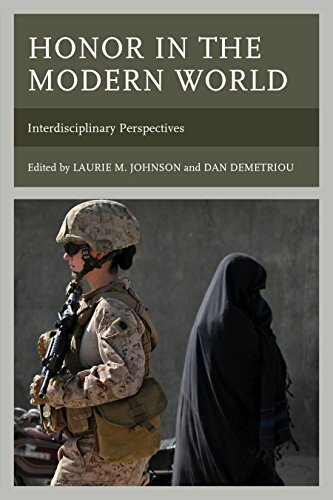 Perhaps, Peter Berger is right in thinking that the ideal today finds its homes in specific arenas: in the armed services, academic institutions, and in the nostalgic reminiscence, not as a basic, general organizing ideal for the whole of people’s lives. And maybe there is room for those who operate in these honor arenas to construct a life for themselves sustained by their private acceptance of the ideal of honor. 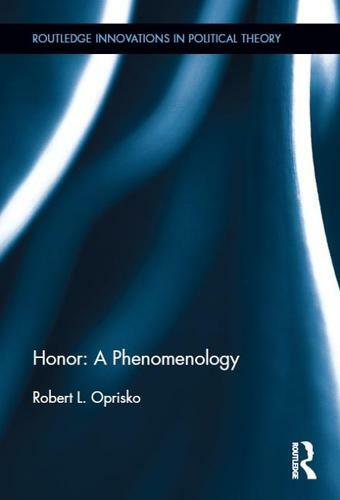 If, however, in life outside of these specialized contexts, the ideal of honor no longer makes sense to us, and if that loss of intelligibility depends on the loss of a “pattern of living”, then maybe the problem for us should be to investigate how to make such a pattern of a life committed to honor not only intelligible, but also a live option for most people. In our age of cynicism, how can we in the academy do this? More on this later. First, I would say—forgive me if this is obvious—is that the transition you outline above was one from an honor-based to a “liberal” way of norming students. Gone was the peer-based normative mechanism, and in came a more official, legalistic mechanism executed by a constituted and expert authority. Gone was the shame-based threat of a negative ruling by your honor board. The new threat lay solely in “material” consequences of being kicked out of Sewanee—losing credits, wasted money and time, inconvenience of having to go to another school, etc. Gone was seeing one’s identity as partly constituted by being a Sewanee student. Instead, Sewanee became merely a place to get a good degree and move on with one’s life. It seems to me that somehow the promulgation of stated, officially-interpreted laws and regulations, along with an obedience to these and increased professionalism, results in decreased attachment to whatever society adverts to this in its institutions. There is something about liberal institutions—not just political institutions, but any that aspire to this way of doing things—that make them legalistic, emphasize official decisions (rule of law), and professionalism. There are many benefits to this, to be sure. But an unintended side-effect is that all this erodes identity and meaning. I can’t quite articulate how and why this happens. But I think the case of Sewanee is an example of this phenomenon. As far as revival goes, I think part of the way to restore non-ironic, non-self-conscious honor reasoning is by doing exactly what we’re doing here at honorethics.org. Taking honor seriously as a topic of study is the first step. Taking honor seriously as a possibly legitimate value is the second. Practicing this way of speaking with each other (since few people around us right now would have the first clue of how to interpret or evaluate honor-laden language) is the third. Anyway, thanks for that great post. Thanks, Dan, for your interesting, generous reply to my post. I’ll just make a few remarks here, and hope to expand in later posts. I am not at all sure that we can lay the sole blame for the loss of intelligibility of the ideal of honor on liberalism. 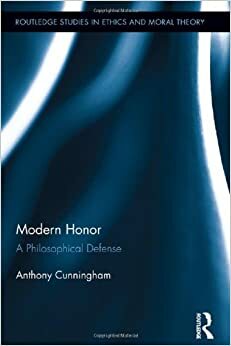 I also suspect that the concept of honor is quite flexible, and we can find a variety of ways to think about why honoring certain sort of conduct makes sense and matters. If this is right, there may be no easy single account of the current difficulties we find with this concept. I can make this point a bit clearer by discussing another shift between the early and later honor systems at Sewanee. 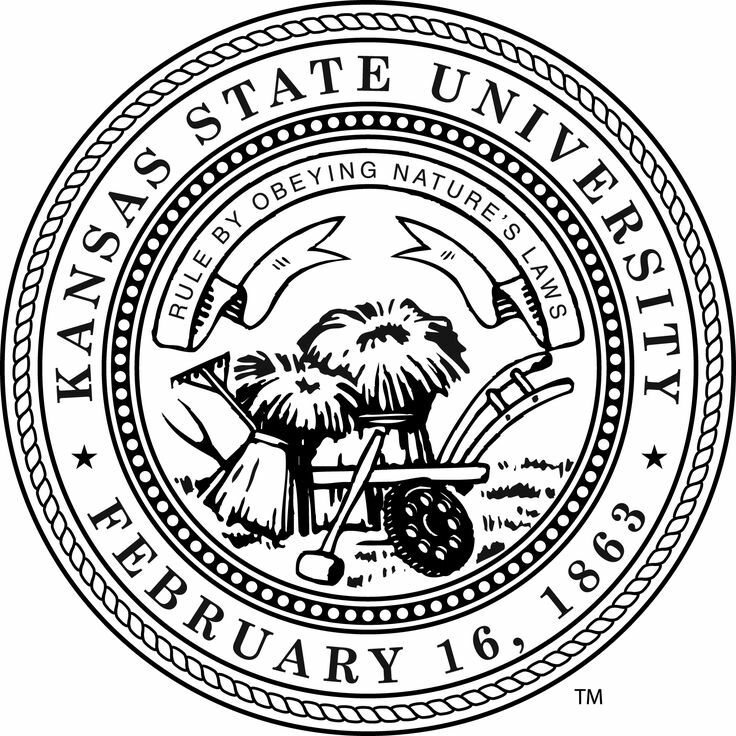 In the very early system, the whole student body knew of the accusation of an honor violation, attended the trial, and could vote on whether the accused student was guilty or innocent. Now the accusations are made and trials conducted in secret. Although we now wish to protect the accused from rumors and innuendo, we also still ask them to leave the college, typically for two semesters, if they are found guilty. This penalty is explicable in terms of the early notion that only “gentlemen” were to make up the college community, and ungentlemanly behavior violated the condition of trustworthiness which every student was to satisfy in order to remain a member of the academic community. 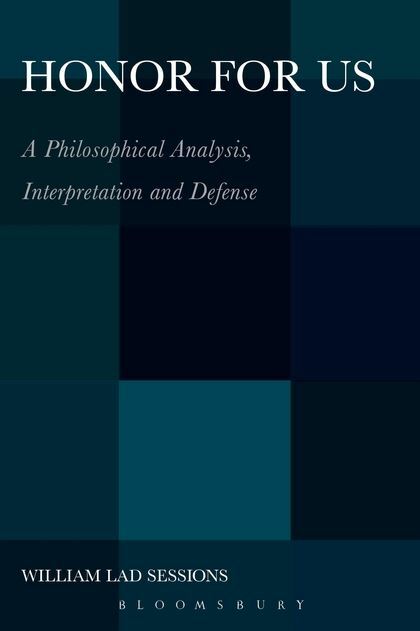 Maybe liberalism’s focus on questions of guilt and innocence contributes to this change, but it seems to me that Christian notions of forgiveness might also play a role, as might threat of law suits, the ideal of treating others with dignity, and the social and cultural versions of emotivism that Alasdair Macintyre discusses. As for the prospect of revival, I suspect that the real problem of honor is its possible obsolescence. I am, however, unsure about the prospect for revival of a shared ideal of honor if revival involves a cultural shift back toward an acceptance of what Alexander Percy (quoted in my post) called an “accepted pattern of living” that gives central place to an ideal of honor. 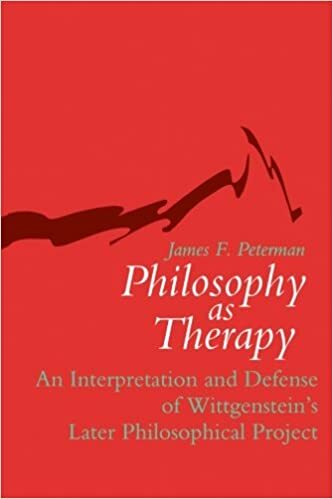 I am, however, even less sure that academic philosophy can play much of a role in any such revival. I hope at very least we can keep some discussion of honor alive. If nothing else, maybe we can work to make sense of the shadows that an earlier pattern of living casts on our own. In this way, some of us might seek some return to that pattern. Others might be made clearer about the source and character of some of their current commitments. And others might come to see that their lives and beliefs in relation to honor don’t quite add up. I hope to say more later about why the idea of common pattern of life is so difficult today.